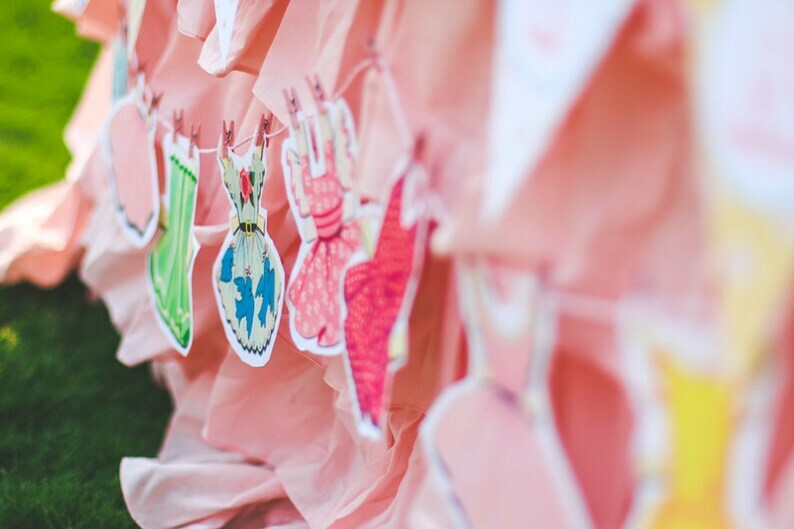 10 Clothing Cutouts to hang or decorate as you wish! Printed on heavy cover card stock. Mini Clothespins and string is NOT included. The art measurement varies on the outfit. Each is around 6"-7"
Need more or less contact me for a custom reserved listing. Colors may vary between online viewing and your actual printed product. All monitors display color differently; please take this into consideration when placing your order. Other items pictured are not included in this listing. They are in my shop for purchase. Paper doll banner was absolutely adorable! The perfect addition to our desert table! As described. Shipped on time.